Are you concerned that a friend has a drink, drug or gambling problem?. Has their use of alcohol or drugs, which may have started off as a social thing, descend into chaotic or problematic use which is detrimentally impacting on their lives and your friendship?. Rehab Healthcare is here to help. Seeing someone close to you descend into the negative spiral of addiction can be devastating to see. Watching their behaviour get worse but not knowing what to say and do to help. Feeling embarrassed to have to be the one that tells them or concerned about their response if you do tell them. As a friend of someone with a drink or drug problem, you are actually in a powerful position to help that someone in your life make a change. Many people with an addiction problem have suffered psychological damage in their lives, some conscious, often subconscious. In many cases, this can be linked to families. Many addicts have grown up in fractured families, where parents have split up or a member of the family has also been addicted. People with addiction problems often have difficult relationships with their spouse or partner. As a friend, you have the opportunity to give some ‘impartial’ advice. You are not blood-related and not ‘tied’ to your friend in the same way as a family member. For this reason, many addicts and alcoholics may listen to you in a more responsive way than a family member, to whom they may be more reactive. Like in rehab, it is often the words of an addicts ‘peers’ that are more impacting than those of a counsellor. The same applies to the advice of a friend, which in some instances can be more helpful than the advice of a family member. You are coming from a place of genuine concern. You may also have been through similar life experiences and know some of the issues that are causing your friend to have problems with drink or drugs. Unlike a family member, the addicted person may feel more comfortable speaking to you about their issues. What are signs and symptoms that my friend’s drug and alcohol use is getting worse? Increase in use, both in amount and frequency of drug and alcohol use. Has your friend now gone from drinking beer to drinking spirits?. Has their cannabis use, progressed to the use of other drugs?. Change in physical appearance. You know your friend. You know how they like to look and dress. Has this changed? Have they stopped caring about themselves or their appearance?. Interaction with others. Have they stopped engaging with certain people or friendship groups?. Have they started ‘hanging out’ with different people?. Have you noticed them isolating themselves from you and other friends?. Have you noticed they seem to want to engage with you more – this may be them seeking help or demonstrating that they need you?. Is there behaviour around you different or getting worse? Are they getting drunk and making an embarrassment of themselves more frequently?. Have you noticed a deterioration in their relationship with their partner and family?. You have made the first step by ‘noticing’ and acknowledging that your friend has a problem. As much as the addict and alcoholic may not want to admit that they have a problem, it may also be hard for you to accept that your friend is struggling with an addiction. You may have already spoken to other friends and sought their opinion and advice. Have you tried to speak to your friend but they deny they have a problem?. As a friend, you are in a difficult place and may be unsure as to what to do next?. Do you turn down their offer to go down the pub or attend a social event with them?. Or do you attempt to get closer to them, to try and speak to them about your concerns?. The best thing you can do is seek some advice. Every situation is different and all relationships are different. 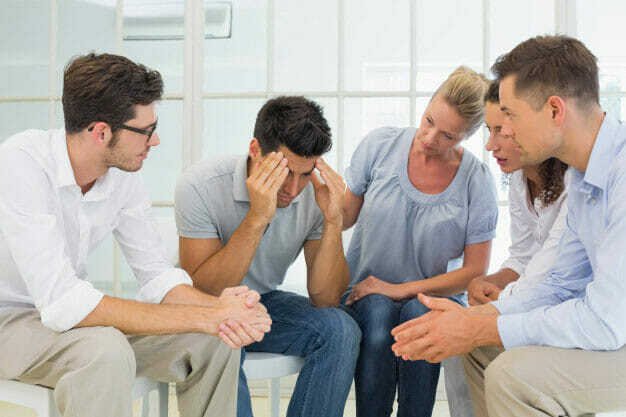 By calling Addiction Rehab Helper, you can explain in detail the problem you are facing in helping your friend. Our team of advisors will gauge the complexity of the situation and advise you on your next steps. There may be multiple options and you may have to call back if your first attempt fails. Our team will work with you to try and help your friend to see the light and get the help that they need. Once your friend has admitted they have a problem, we will work with you to explore the different options available to you.